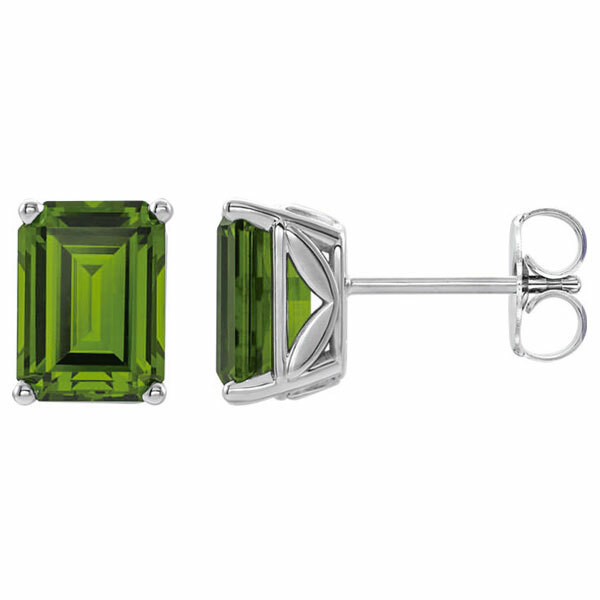 Exquisitely beautiful, our 8mm x 6mm genuine peridot gemstone stud earrings are available in your choice of 14k or 18k yellor or white gold or platinum, from Apples of Gold Jewelry. Includes secure friction push-back posts. Made to order in the U.S.A. Allow approx. 5-7 business days before shipping. Also available with various gemstones, shown below. We guarantee our 8x6mm Peridot Gemstone Stud Earrings, 14K White Gold to be high quality, authentic jewelry, as described above.